Home Styles - Sun City, Arizona - The Original Fun City! 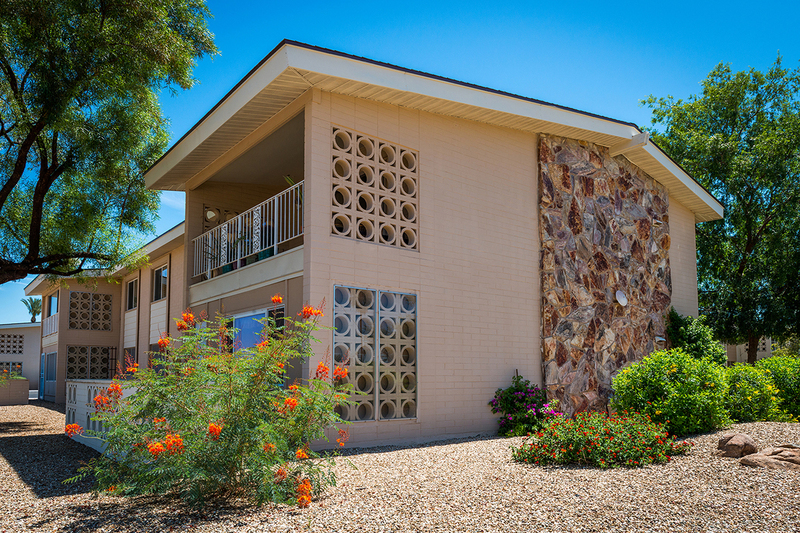 With all the housing options available in Sun City AZ, if you don’t find one that suits you, there is always home styles available for you to remodel or renovate to fit you perfectly. 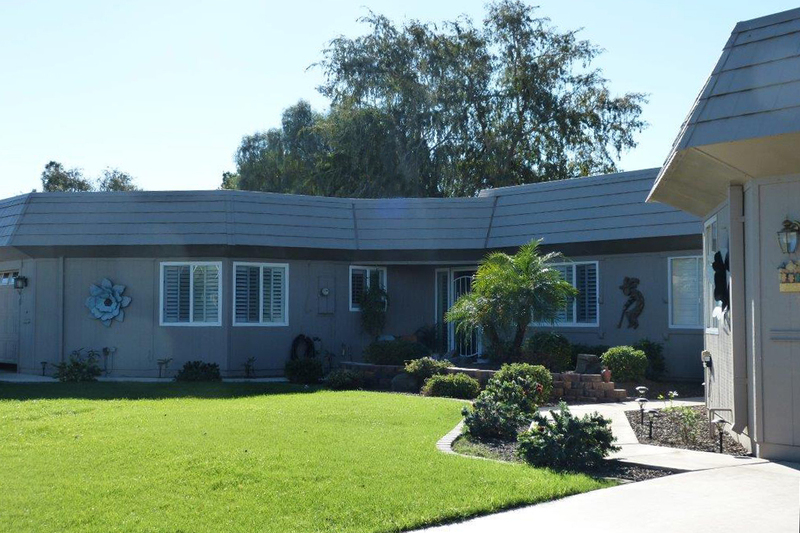 Initial looks can be deceiving to visitors driving past the 1960s and 1970s-era style homes that developer Del E. Webb constructed to attract the first generation of active adults to Sun City AZ. But don’t be fooled. Many of these well-built gems have been renovated by owners over the years and provide the new, younger residents with very desirable homes as more and more contemporary, copycat active adult communities pop up. 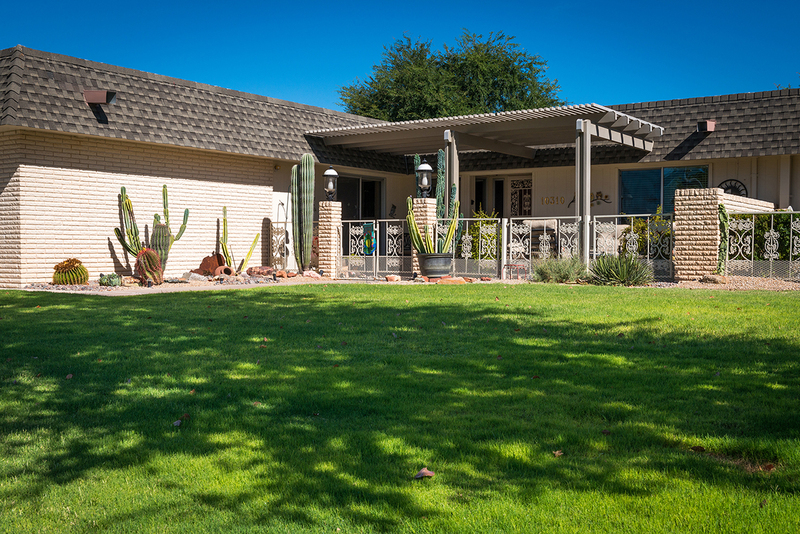 The desirability and draw to Sun City AZ is evidenced by the fact that there are an average of five to seven new homeowners in Sun City AZ every day of the year. 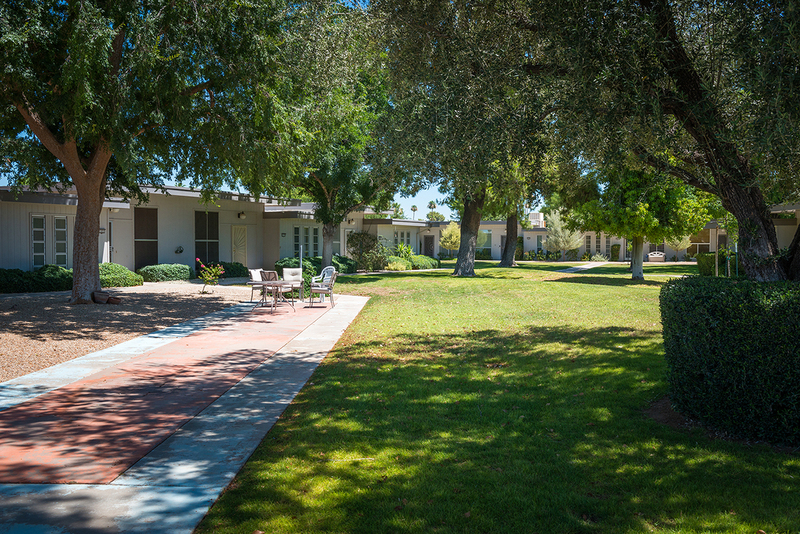 These ground-floor garden apartments in Sun City, Arizona, located in low-rise complexes, are surrounded by lawns, gardens, trees, shrubbery and/or landscaping. Generally, the garden apartment homeowners association covers exterior maintenance, common area maintenance, water, and trash pickup. Each garden apartment homeowners association has its own set of CC&Rs and additional annual fees. These apartment style condominiums are essentially apartments that are individually owned and are generally multi-level. Generally the condominium homeowners association covers roof replacement, exterior maintenance, and common-area maintenance. Each condominium homeowners association has its own CC&Rs and additional fees. Some condominium complexes also provide meal options. Sometimes known as cluster homes, patio homes are single-level homes that share at least one sidewall and have a back patio, but not a backyard. Patio homes are generally built with two, three, or four homes in each building instead of the continuous row of homes. The services and maintenance covered by homeowners associations varies considerably. Each patio home homeowners association has its own CC&Rs and additional annual fees. 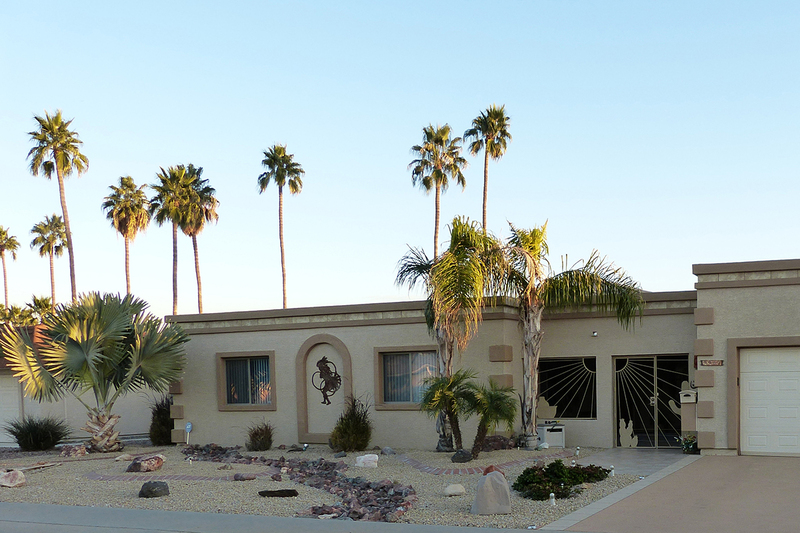 The real estate industry in Arizona calls a single unit within a duplex a “Gemini” or “Twin” home while most simply call both the single unit and the entire building a duplex. The services and maintenance covered by Gemini Twin home homeowners associations varies considerably, however, landscaping maintenance is commonly included. Each Gemini Twin home homeowners association has its own CC&Rs and additional annual fees. Single-family residences are detached homes with front and back yards, a driveway, and an attached carport or garage. All maintenance on single-family detached homes is the responsibility of the homeowner. Single-family detached homes, as are all homes in Sun City AZ, are required to comply with Sun City’s CC&Rs. You can obtain a printable PDF copy of this surprisingly short 12-page document located here. Many homes are built on golf course lots which give owners open views of the course and the fairways. Sun City AZ has two man-made lakes that are surrounded by homes and duplex units offering the owners excellent views across the lake. There is also a section in Sun City AZ called Rancho Estates. These are single family homes on acre-size or larger lots with horse privileges. Not all of the Rancho Estates homes currently have access to the recreation facilities in Sun City AZ, however, all Rancho Estate homes are eligible to access RCSC facilities for a one-time access fee. The Facilities Agreement, executed by each Deeded Real Estate Owner in Sun City AZ, obligates Owners to pay annual property assessments to the Recreation Centers of Sun City, Inc. (RCSC) whether or not Owners occupy the Sun City AZ property or use RCSC facilities which include seven recreation centers, eight golf courses, two bowling centers, an outdoor amphitheater, a 33-acre man-made lake, and Duffeeland dog park. Property owners must meet certain age and residency requirements in order to be granted RCSC membership cards. Non-Owners residing in Sun City AZ and who meet the requirements may have access to these recreation facilities for a fee.